Engage Your Reader With A ‘What If’..? In a normal social environment going beyond acceptable limits is either frowned upon or punished depending on the situation. However, its not such a bad thing for a writer to push the limits. Our imaginations make anything possible. We can even set our own limits in our created worlds. A being with no emotion, such as a vulcan would not think twice about the slaying of another being – as long as it was the logical action in that situation. In the mind of a twisted villian they would view their actions as sanctioned or required within their madness. While a victim could act violently in self defense and be seen as a hero. Both characters have killed but we view the acts differently. In short, it is ur perspective that colours our view in any situation we come across, experience, watch or read about. The first time I was consciously aware of the strength of perspective was when I re-read Cujo by Stephen King. The first time I was a ‘live life to the fullest’ single woman and I felt sorry for the poor dog. The second read, I was a mother and sympathised with the sheer desperation of the woman and her child. Two opposing views for the exact same story. Which brings me to ponder when we are creating characters and situations should we endeavor to tailor-make the story so it appeals to more than one demographic? 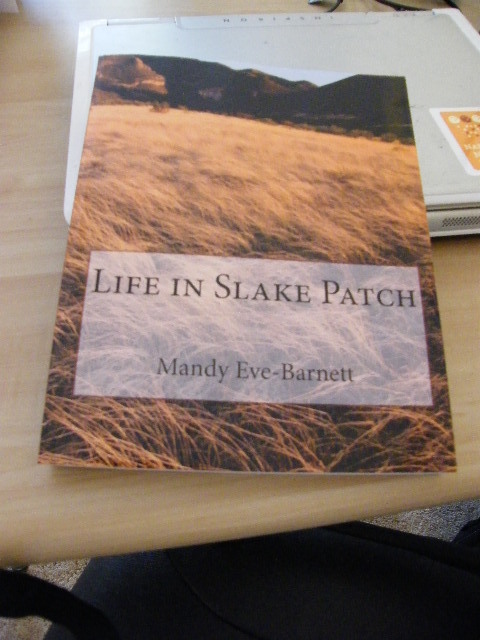 For example my novel, Life in Slake Patch, is from the viewpoint of a young man perfectly comfortable with a way of life unchanged for generations, until his naive, single young man perspective is changed once he falls in love. The narrative relays how the all female hierarchy ordered the particular way of life they live under in order to safe guard against another world war. Evan’s perspective changes drastically when he realizes the impact of only visiting his new bride once a week and that he has to continue to live in the male only compound for his lifetime. As writers we want our readers to engage in our characters struggles and form a ‘relationship’ with them. Even as a female reader, we can relate to Evan’s predicament – who would want to live separately from the one we loved?